I hope everyone is enjoying fall like i am 🙂 I love fall! It is my favorite season. So i haven’t posted in about a month, so i wanted to check in and give you all an update. I am still waiting for my substitute teaching license to hopefully show up, if it doesn’t show up this week i will be calling to check in and start applying at other jobs. I am feeling the penny pinching with no income coming in. Anyways….. 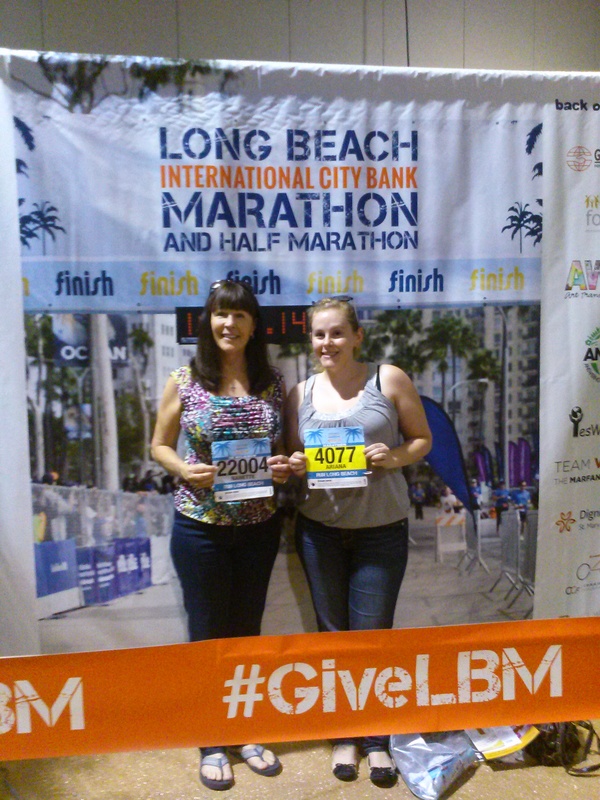 Mom and i took a little trip down to SoCal to see friends and family and to run the Long Beach Marathon (which i had signed up to run when i was still up in Oregon and actually training lol). We had some fun times down in SoCal. 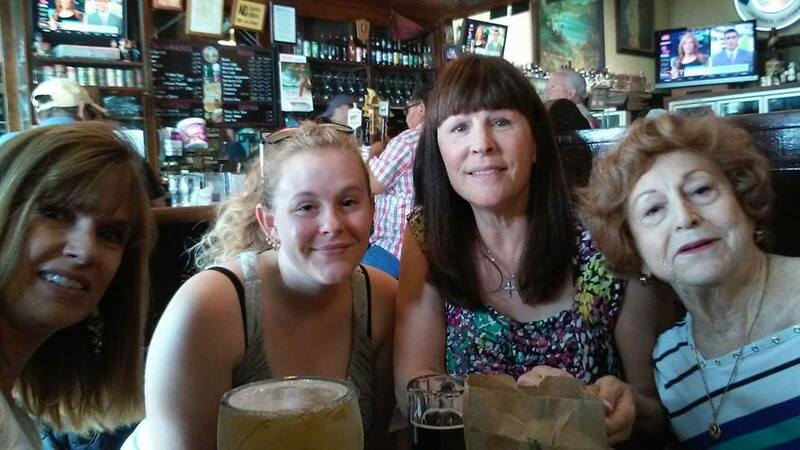 We had lunch with friends and family at a Long Beach staple, Joe Jost’s. I had my first Joe Jost’s special ever, and i am happy to say it was pretty delicious!!! What have i been missing all these years?! Mom and i also took a side trip down to Lake Moreno to see it and to see how we will get to it when mom picks me back up for the kickoff weekend. 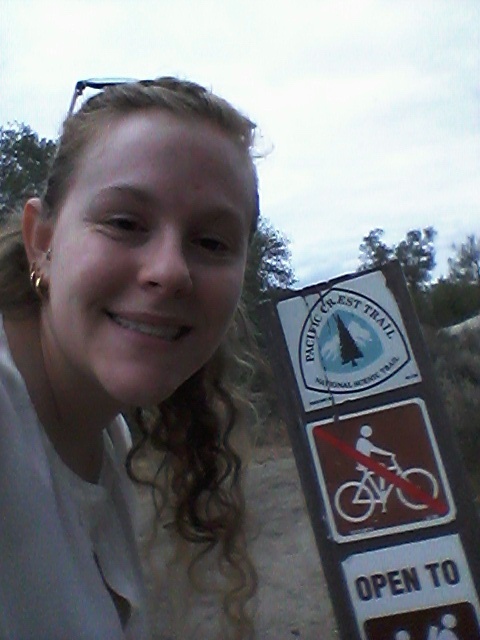 we got to actually be on the PCT! Big moment! It made it all so much more real and exciting! We are getting so close!!! Then we had the marathon, which let me tell you, never try to run a marathon when you haven’t trained, you would think i would know this… but apparently not. 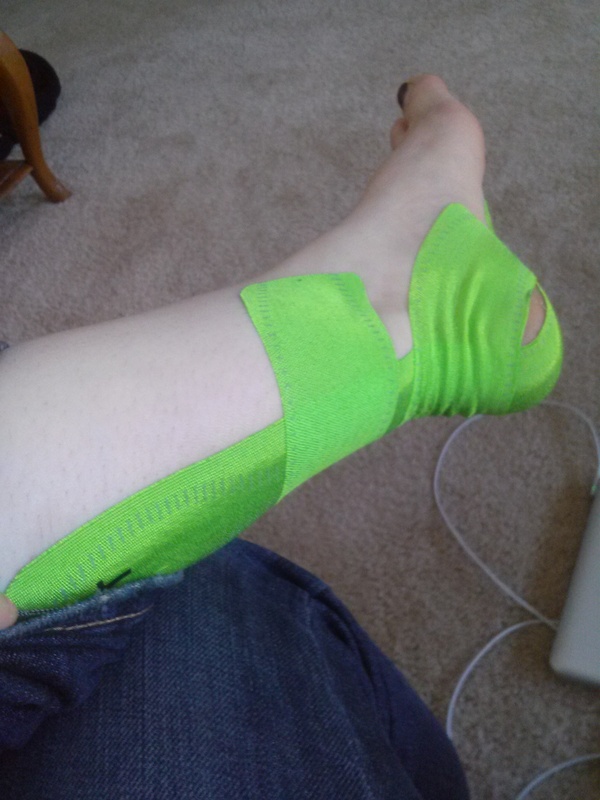 Also, don’t tape up parts of your body, “just in case”, i have never had an issue with my body holding up but i still decided to be crazy and tape up, just in case. I followed the directional videos online but i think it hurt more than helped. At the expo picking up our packets. Things were ok at first, i ran but tried to stay slow and let my body ease into it. I refueled regularly and often and was surviving until about mile 7. Around mile 7 pain started in my left foot, by about mile 10 i was limping along and holding back tears. By mile 13 i stopped at a medical tent pretty much ready to throw in the towel, they had my take the tape off my ankle to see if maybe it was causing a nerve to pinch. That helped at first then it came back and got worse. By mile 15 the pain was shooting into my hip with every step and i was biting back tears. I called it quits at mile 15. 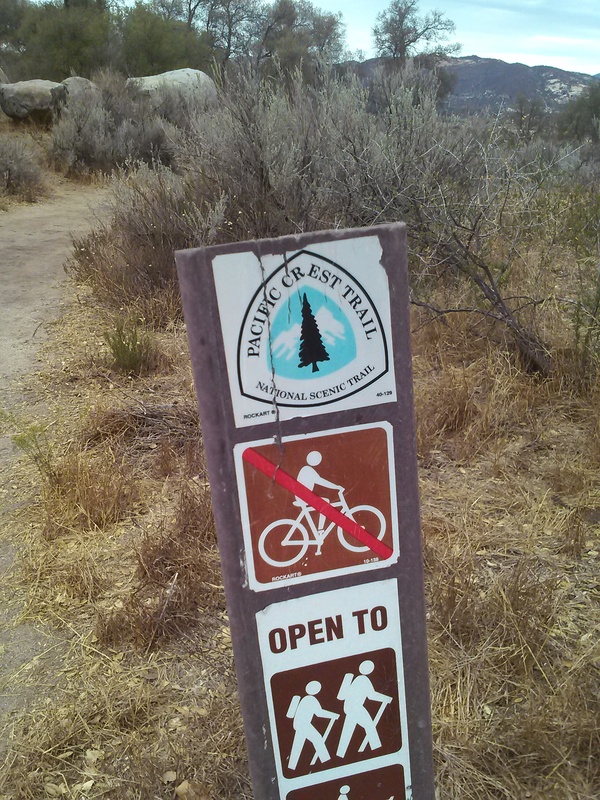 I didn’t want to risk hurting myself badly and jeopardizing my hike. It is now 3 days after the marathon and i can finally walk almost normal again lol. I am going to take it easy the rest of this week and try going for a walk next week and see how it goes. 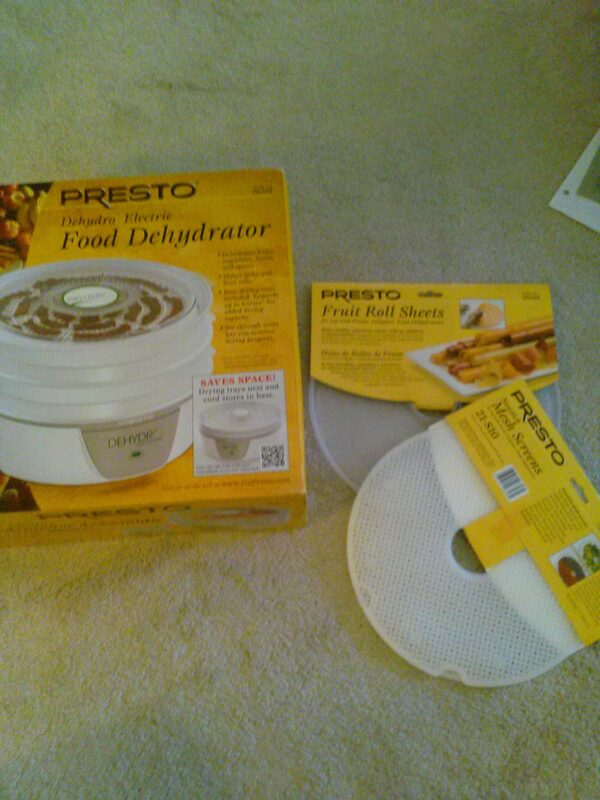 Other very exciting news is that my friend sent me the dehydrator off my Amazon wish list!!! I can’t wait to start using it!!!!! And last but not least i have started organizing and making my food. Boy is this a large undertaking. The first thing i made was 3 servings of a breakfast called Mule Fuel. I got the recipe from the book “Lip Smakin Vegetarian Backpackin“. 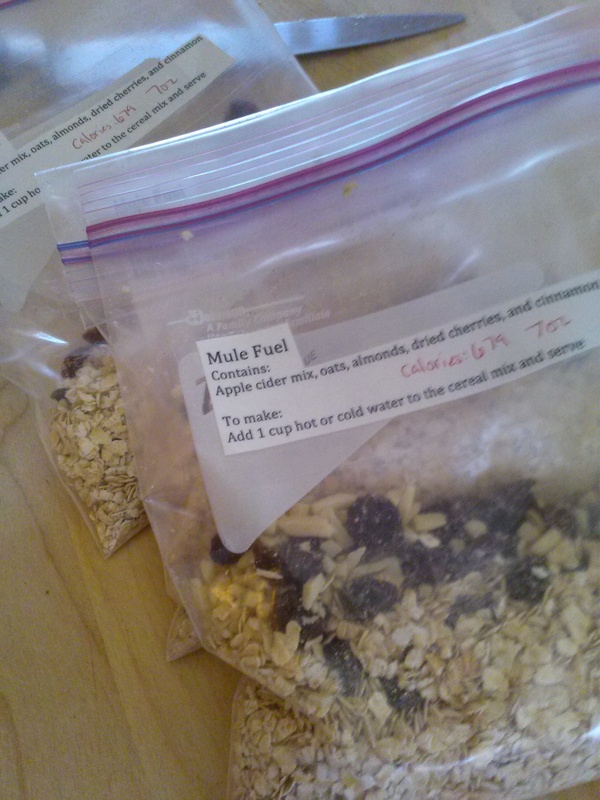 It has apple cider mix, oatmeal, almonds, cinnamon, and dried fruit (i chose cherries). If you are curious about what is on my wish list, here is the link. Well i think that is it for now, talk to you all soon!!!!! It was so Great getting to see you!! Brandon me and the kids miss you like crazy was nice to just hang out a bit. Thanks sweetie. Lesson learned about not training before a big run hahaha. I am still determined to complete a marathon at some point. I am so glad we got to hang too! We’ll have to do it again when i come back down. I know, i wanted to take pics with everyone and didn’t take one with anyone lol. I need to make sure to do that next time.